This match will undoubtedly be the most eagerly anticipated clash of I-League so far. Fed Cup and KFL winners East Bengal is showing no signs of slowing down. Playing under horrendous conditions in Ludhiana, the Red and Gold brigade edged past JCT via Okpara goal. The centre-back, usually a rock in the defence, rose to the occasion when East Bengal was struggling to score a goal, despite dominating possession. East Bengal haven’t scored a lot of goals, three of their wins have a 1-0 scoreline. However, their defence has held firm in each of these games. Okpara and Soumik have formed a solid central defensive pairing while veteran Sandip Nandi has provided assurance in goal. Coach Morgan also knows the balance between attack and defence. Against JCT, he rightly substituted Tolgay for Ravinder Singh, thus ending JCT’s hopes of finding an equalizer. Mehtab suffered a slight injury in last match; he may not be present in the starting line-up. East Bengal’s defence will be tested by the most prolific side in I-League, Salgaocar. The club, which has won a record number of Goan championships, has made its best ever start to a national league campaign, winning each of first four matches. Staying true to coach Karim Bencharifa’s philosophy, they have played attacking football. 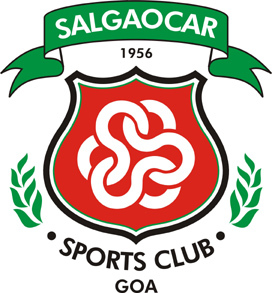 Salgaocar has scored 13 goals in 4 matches. 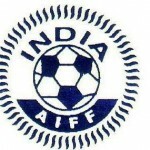 In the last match, they thrashed a hapless AIFF XI 5-0. Veteran Yusif Yakubu and Japanese Ruiji Sueoka scored 2 goals each. Yakubu could have scored a hattrick, had he not missed a spot kick. Salgaocar youth product Anthony Barbosa impressed once again, assisting two goals. This will be a classic clash between two flair teams. Both teams prefer a three striker formation. Karim Bencharifa has been often criticized in the past for his “all attack no defence” approach but Morgan’s approach is much more balanced. The most intriguing clash will be between Barbosa, Sueoka and East Bengal’s full-backs. Salgaocar goal-keeper Karanjit Singh doesn’t have a lot of experience in top level; he will be tested by East Bengal’s attacking trident and Mehtab’s set-piece delivery. 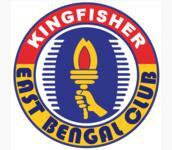 Ekene was discarded by East Bengal a few days ago. He will be looking to drive home a point against his former employers. Defending champions Dempo were held to a 2-2 draw against Mohun Bagan in Kolkata. In an exciting encounter, Dempo came back to lead 2-1 from being 1-0 down. They failed to hold onto the lead, eventually settling for a draw. Dempo has already dropped 7 points in this year’s campaign. Coach Alberto Colasco is struggling to replace seven first team players who are stationed in National camp. Dempo is over-dependent on three foreigners Kalou, Ranty and Beto. Against Mohun Bagan, Beto failed to exert his presence in the game. He was crowded out by the Bagan midfield but still managed to find a killer pass for the opening goal. 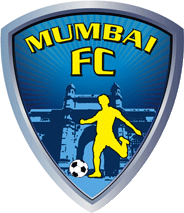 Hosting Mumbai FC will be a perfect opportunity for the four time champions to bounce back in style. As we pointed out in last week’s preview, Mumbai FC’s defence was set for a litmus test against Odafa Okalie. MFC failed miserably in that test. Odafa ran riot scoring four goals as Churchill Brothers won 5-1. Subrata Bhattacharya (Jr.) has been linked with the coaching job in Mohun Bagan. Bagan need an AFC A license coach who can work under Subhash Bhowmik. Subrata was not present in MFC’s reserve bench against Churchill. He reportedly came to Kolkata to meet MB officials. This was one of the reasons behind their shambolic display. Veteran Noel Wilson gave MFC a shock lead on 12th minute but could do little to stop the Odafa hurricane. It’s unlikely that their performance will improve against Dempo. AIFF XI was supposed to be the first step for India towards qualifying for 2018 world cup. The U-19 boys have made a horrible start to their maiden I-League campaign. Their performances suggest that an under-prepared team has been thrown onto the big stage. They sit rock bottom in the table, having lost 3 of the first 4 matches. Worse, they have shipped in 12 goals. Their 5-0 loss to Salgaocar was a display of abject surrender. Coach Bulpin’s tactics can also be questioned as AIFF XI looks listless in both attack and defence. Jewel Raja desperately tried to make a difference in last match but failed due to lack of proper support. Raju Gaikwad, one of the few bright spots for the team in last few matches, will miss this clash. 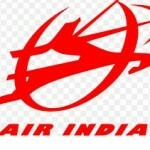 Air India has been one of dullest teams in the competition till now. Their approach to matches suggests that they are mentally prepared to play for a draw even before kick-off. They played out a 0-0 draw with ONGC in what was the snooze-fest of round-4. Things might change for the better in this match. Yusuf Ansari’s men will know that playing AIFF XI in the latter’s current form is AI’s best chance of getting 3 points. After holding out against Chirag in round-3, AI’s defence once again kept a clean-sheet. They effectively closed out Badmash Baba Tunde, top scorer in 2nd division last season. Expect current Mumbai league winners to take a less pragmatic approach in this match. Odafa Okalie is an unstoppable goal machine. Currently there are very few defenders in Indian football who can stand upto the Nigerian. Odafa makes goal scoring look like the easiest thing in the world at times. He was at his best against Mumbai FC, scoring 4 goals. With 8 goals in 4 matches, he is racing towards the title of top-scorer in I-League, a title he has made his own in last few seasons. Churchill coaches over the years have made strategy centering on Odafa and rarely have their faith gone unpaid. Bineesh Balan was impressive against MFC and got his name on score-sheet. Despite Odafa’s brilliance, Churchill are vulnerable at the back. Letting Naoba Singh and Dhanachandra Singh leave seems like a mistake from management. Without Gourmangi Singh, India U-21 defenders don’t seem to play as a unit. 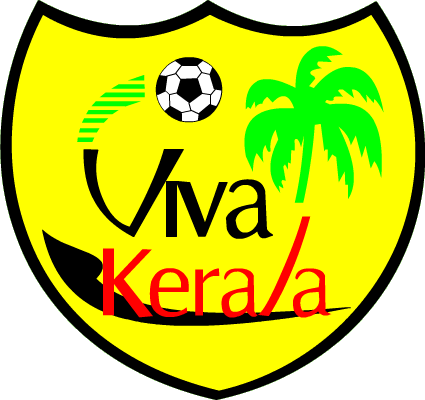 Viva Kerala are still without a win and its unlikely that the trend will change in this match. The team from Kerala has looked short of ideas and enthusiasm – a far cry from their appearance in last few seasons. The absence of a quality foreigner is hurting the team. Local players haven’t performed consistently either. The absence of Subrata Bhattacharya proved to be a cause of undoing for Chirag against Pune FC. Sanjay Sen tried his options but couldn’t make the game changing substitutions that Subrata is famous for. Chirag did dominate the match for long periods. Joshimar – Junior combination wreaked havoc on the PFC defence while Lalkamal Bhowmik put on a virtuoso performance in the heart of midfield. Lalkamal, who shot into limelight after scoring against Bayern Munich reserves in IFA Shield, seems to have found some of his best form in last 2 matches. Chirag was also unfortunate to concede a goal. The throw-in which led to the goals build-up was wrongly awarded to PFC. Subrata is still recovering from his illness and will miss this match. In his absence, Sen needs to plot a match-winning strategy against HAL. HAL continues to impress in I-League. 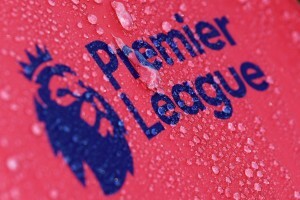 A team which was ear-marked for relegation by many, has earned 7 points in 4 matches. More importantly, they have played well in every match, dropping points only due to momentary lapses of concentration. HAL was given the most punishing schedule in I-League. As we go into the 5th round, they are yet to play a home-match. Their away form will certainly boost the confidence of both players as well as coach Muralidharan. HAL will miss influential Xavier Vijay Kumar in this encounter. Xavier was red carded against Viva. HAL shocked Mohun Bagan when they played at YBK last time. That result will play in the back of the minds of players when they revisit the stadium. Things are looking very, very bleak for the inaugural NFL champions currently. With a single point from 4 matches, JCT are lodged in the 2nd last position of the table. They were boosted by the return of Sukhwinder Singh but couldn’t prevent another loss to East Bengal. Sukhi was especially enraged by the poor condition of the turf in Ludhiana. He also lamented the absence of a proper striker in his ranks. The only JCT player who impressed against EB was Parvin Kumar. Their main hope will be the extreme winter of Ludhiana, which has proved to be a deterrent for teams in past. Subhash Bhowmik has started his 2nd tenure at the helm of Bagan on a positive note. Bagan supporters, who were used to see abysmal performances from their team, saw a rejuvenated side against Dempo. 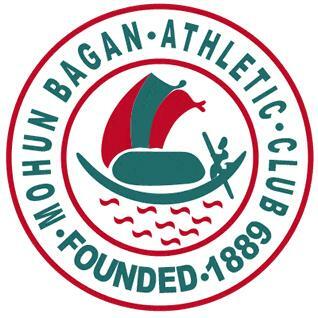 Mohun Bagan played attacking football right from the start, a change in system proved to be beneficial. Barreto was much more mobile upfront and he combined well with Muritala Ali. Muritala scored a screamer to put Bagan ahead. Bagan dominated the match for long periods of time and could have been 2-0 up if Barreto hadn’t missed a penalty. That miss gave the Goans a new lease of life as they came back strongly. Bhowmik is famous for his ability to motivate his players. He emulates his mentor PK Banerjee in this aspect of coaching. As a result, the Green and Maroon players looked charged up against Dempo. This will be clash of two of the most experience coaches in Indian football. Bhowmik is still in his honey-moon period as a coach and this gives his team an edge. The Maharashtra derby sees ONGC take on Pune FC. ONGC, first timers in I-league, haven’t made the best of starts to their campaign. With 2 points in 4 matches, the Oilmen are just above relegation zone. ONGC roped in players like ND Opara, Peter Odafe, Tapan Maiti from Air India, these three players are yet to make a strong impact on the team’s fortunes. Their defensive displays have been impressive but goals have dried up. The team that scored an average of 2 goals per game in 2nd division last year has managed to find the back of the net only once. ONGC is also bracing itself for a possible change of coach. 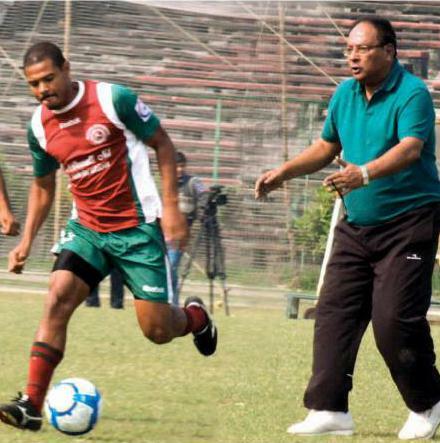 Sujit Chakravarty who led ONGC to I-League has been approached by Mohun Bagan to take over as coach. PFC has made a very ordinary start to their campaign. 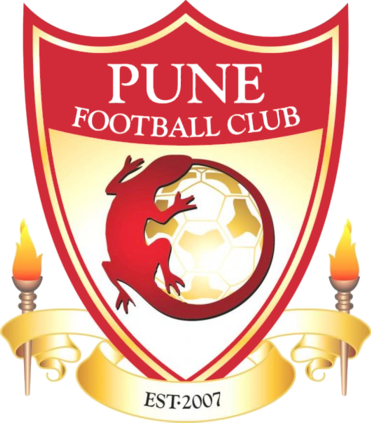 Pune FC finished 3rd in their debut season in 2009/10 but is winless after 4 matches. 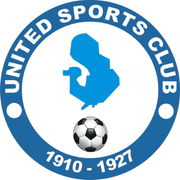 They were fortunate to gather a point against Chirag United in last match. Edmar was missing and their attack lacked teeth. Izumi Arata has been a savior for PFC so far. He has scored vital equalizing goals against Mohun Bagan and Chirag. Veteran Ajayan rolled back the years in last match with some gutsy display in 2nd half. Defence and goalkeeper Balaji are two of PFC’s biggest weaknesses. Last season with Subrata Pal in goal PFC had the best defensive record in I-League. In 2009/10 they conceded a paltry 23 goals in 26 matches, they are yet to keep a clean sheet this season. Great to see such analysis for each of the matches, regardless of impact factor! Till now you got almost 60% of your predictions right. But I am afraid, this round may spoil all the hard works you did till now. East Bengal will streamroll Salgaocar. No way this Salgaocar defense can hold off Tolgay-Pen-Robin for 90 minutes. Also it will be another cleansheet for Sandeep Nandi. 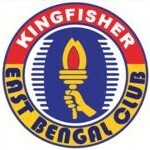 2-0 to East Bengal. Mohun Bagan will find it difficult in the cold Ludhiana weather. I don’t see them taking more than a point from this match. Pune FC will register their first win again ONGC. 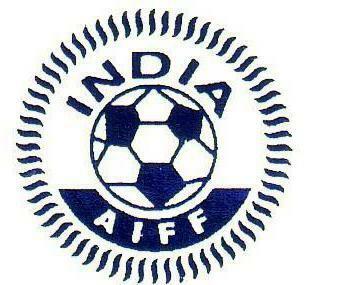 Also AIFF XI will get the better of Air India.